Yeah2,I know I’ve been abandoning this blog for quite sometime.I mean,what’s the point of having a blog if you don’t update it frequently right?BUT I have a reasonable excuse in doing so..Been busy with my practicum and catching up with my friends.This week is school holiday thus I am free(sort-of) for 1 week.Have soo many things to do and I’m looking forward towards a few things that’ll happen soon.:). Oh,are you guys watching the current season of American Idol? ?Is it me or is it getting more and more boring?Somebody please breathe some life into the show!I still like Didi Benami & the youngest guy(I still forgot his name again!). Below are some of the movies that I’ve watched these past few weeks. I watched the trailer of this movie late last year I think, or was it early this year..but the point is,I was puzzled why a girl would be selfish and doesn’t want to give her kidney to save her sister’s life?When I watched the movie and as the story unfolds, when Anna decided to sue her parents over the rights of her own body,I was still dumbfounded but in a way iget the pain that Anna had to endure because she was a designer baby conceived to help her sister Kate who have leukemia to live. Ahh,I bought the book for this movie in the year 2008 and it was a chance encounter because I’ve never heard about the book before but the cover catch my eye.As I recall,I think I bought the book at a warehouse sale.As I read it,I was amazed at Julie’s determination on wanting to cook ALL the recipes in one THICK cookbook for 1 year. 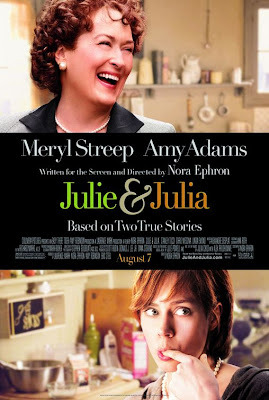 Now,the movie on the other hand, is a combination of 2 books.1 is the book Julie & Julia while the other one is a book of a collection of Julia Child’s husband,Paul letter’s.Now,as an avid cook and one who was exposed to cooking at a young age(thanks to my maternal grandmother,my only grandparent that is still in this world)this movie made me actually want to write a cookbook! I swear that straight after the movie ended I made chocolate pudding(inspired by the chocolate cream pie that Julia made at the start of the movie) and crème caramel because the movie was just great!I like the fact that Meryl was totally transformed into Julia Child and even her voice was different!Amy Adams did a great job too and it looked like she gained a few pounds for the part. 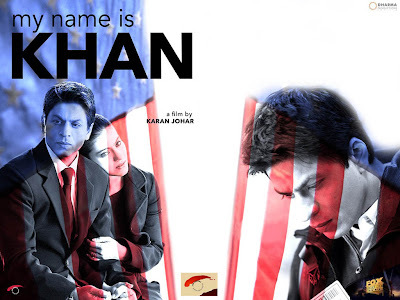 I watched the trailer of this movie around 2 months ago and I was intrigued to watch it because to tell the truth,I am not one for Hindi movies but I thought Shah Rukh Khan looked great in it and the storyline looks promising.Boy was I wrong when I finally watched it. I guess now I know why the movie that actually tackles quite a few important issues didn’t become that well known.The intention of the movie was great but the execution quite frankly,didn’t come through. The saying is true that' too many cooks spoils the broth'.. because the movie had too many heavy issues in one movie from dealing with Asperger syndrome, racial discrimination and interracial marriage and it became one big mess. BUT there are good things about the movie too.SRK’s(Shah Rukh Khan) acting was great.He managed to make a person who has Asperger come off as charming and cute(if you watched Grey’s Anatomy,there was a doctor who had Asperger and there’s many tv series in the States that have a character with Asperger ).I t didn’t hurt the fact that he looked good even at his current age!But I thought that there some scenes that made me rolled my eyes because it was soo farfetched and illogical.All in all,people should watch this movie because of its message and for SRK’s acting chops alone. Movies that I have but haven't watched yet:The Blindside(can't wait to watch Sandra Bullock's Oscar winning performance) & Post Grad! Li aq mau pinjam semua..boleh kah?? hee..bosan oh duk umah. yg lg 2 tuh dlm laptop..xburn lg..nanti2 kays?